One of the most frustrating types of home damage can be caused by sewer backups. Not only does this leave unwanted dirt, smells, and unpleasant deterioration to your home, it can cause harmful bacteria and mold to be cultivated in your living space. Our professional staff is trained to deal with these contaminating substances and to make sure that your home is cleaned, disinfected, and deodorized to prevent future unpleasantness that can result from leftover sewage residue. 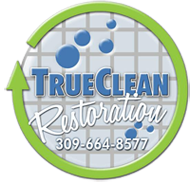 Call us to find out how True Clean can resolve your sewage issues now.